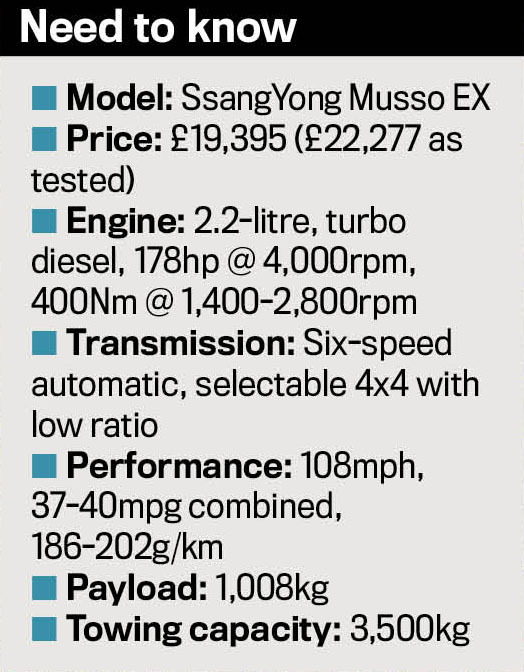 Boasting 178hp and a 3,500kg towing capacity, SsangYong’s affordable Musso seems a tempting buy. But, is it all too good to be true? SsangYong’s Musso is currently one of the most affordable pickup trucks you can buy. 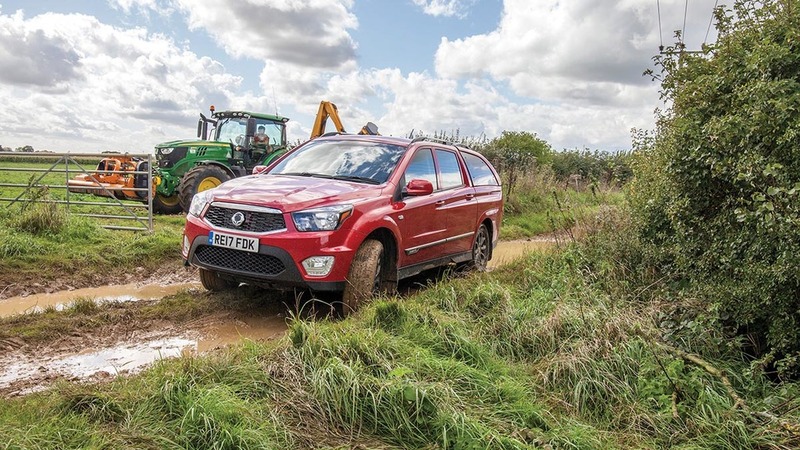 If you are looking for a new double cab pickup and are working to a tight budget, then the SsangYong Musso is currently one of the most affordable pickup trucks you can buy. It is also one of the cheapest to run, with sensible fuel economy from its 2.2-litre engine. 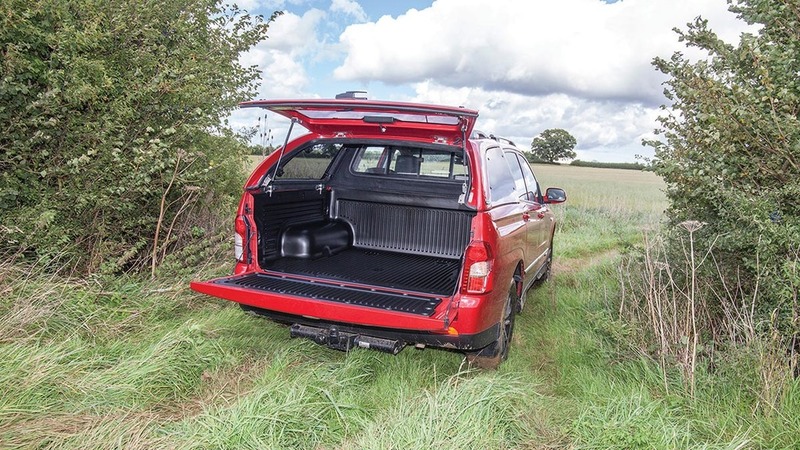 Musso also comes with a five-year limitless mileage warranty, and it now boasts a 3.5 tonne towing capacity too, putting it up with the best – so what is the catch? While this might seem refreshing in a world of biggest, brightest and shiniest, the Musso does not drive quite as well as its more expensive contemporaries. And this is despite a multi-link rear suspension to soften the thumps and bumps. We tried the EX-spec with a six-speed auto-box. 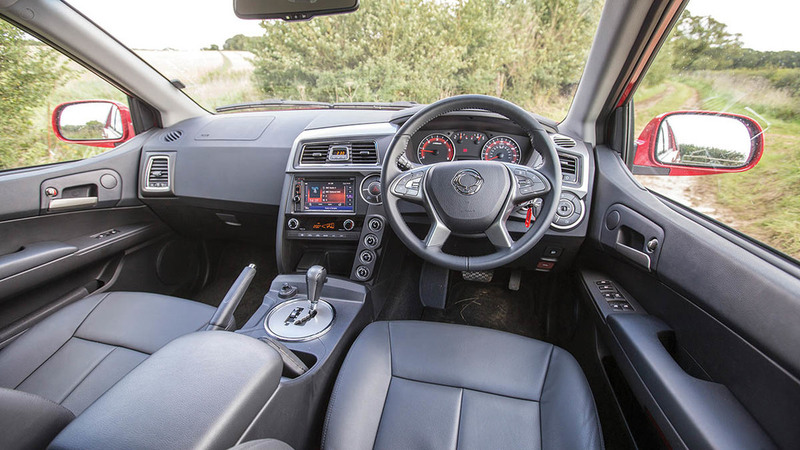 This sub-£20k model boasts leather upholstery, heated front seats, cruise control, 18in alloys and a host of safety equipment including an electronic stability programme, disc brakes all round, front airbags and seatbelt pre-tensioners. It is a shame that the Musso did not get decent headlights to replace Wee Willy Winkie’s candles which struggled to light a small area of road ahead on a wet, autumn night. Even main beam did not attract much attention from other motorists. Buttons and switches can be fiddly, and the touchscreen unit is not easy for those with big fingers. However, its engine packs a healthy 178hp and 400Nm of torque making it feel really rather lively to drive. Gear changes are eager, and progress – un-laden – is far from tardy. It also meets Euro 6 emissions without needing to slurp a diesel exhaust fluid such as AdBlue, which will appeal to many. But a week behind the wheel reveals lots more about this South Korean contender. When it comes to getting comfortable behind the wheel, the Musso’s steering column suffers from a lack of adjustment. You can tweak the column up and down, but you still cannot adjust the reach. It also lacks an external temperature gauge too, which is always a handy element for an industry which takes its cues directly from the weather. Switchgear can be fiddly, with some awkwardly small buttons and dials scattered around the quirky dashboard – one of which is a dial to move from two- to four-wheel drive and low ration. While there is good integration of a 7in touchscreen entertainment system, with steering wheel buttons for added convenience, the touchscreen element is not friendly to use for anyone with big digits. We also found the £1,650 optional hardtop adds to the wind noise too. It also hampers rearward visibility through copious layers of glass, leading you to make the most of the small door-mounted mirrors. However, if you can look past the unfamiliar badge and can tolerate a lesser level of interior finish, it is not a bad workhorse. That said, you do get what you pay for.